Hotel Desenzano Guests checking into the luxury, 4x000D star Hotel Desenzano in Desenzano Del Garda are assured of a warm welcome. Both on and off site car parking is available. Guests can enjoy a meal at the hotel restaurant. Business users are catered for with wifi and meeting facilities available at the Hotel Desenzano. Rooms at the Hotel Desenzano. All rooms have a hairdryer. Rooms have wireless internet access available. All rooms feature a stocked minibar. Leisure Info. 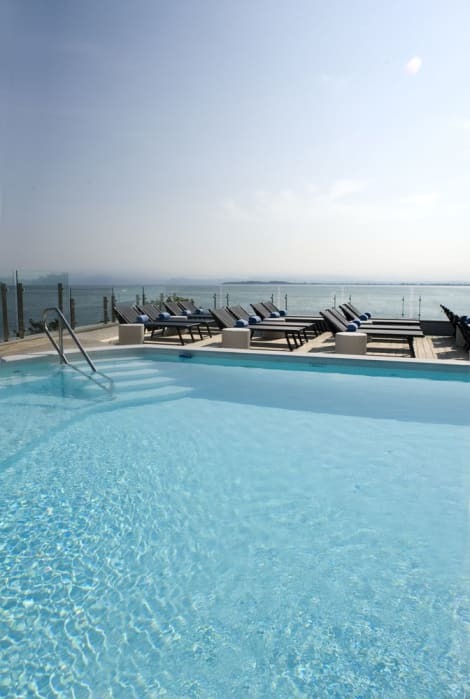 Leisure facilities are available at the Hotel Desenzano. An outdoor swimming pool is available for hotel guests. Additional Info. An airport shuttle service is available from the hotel. The hotel is pet friendly. A concierge service is available to guests. A stay at Residence Il Sogno places you in the heart of Desenzano del Garda, within a 15-minute walk of Port of Maratona and Desenzano Castle. This 4-star residence is 5.5 mi (8.8 km) from Scaliger Castle and 13.4 mi (21.6 km) from Gardaland. Relax and unwind with massages, body treatments, and facials. You're sure to appreciate the recreational amenities, which include 2 outdoor swimming pools and bicycles to rent. Additional amenities at this hotel include complimentary wireless Internet access, concierge services, and babysitting/childcare (surcharge). Featured amenities include a 24-hour business center, complimentary newspapers in the lobby, and dry cleaning/laundry services. Planning an event in Desenzano del Garda? This hotel has facilities measuring 2153 square feet (200 square meters), including a conference center. Self parking (subject to charges) is available onsite. Make yourself at home in one of the 37 air-conditioned rooms featuring LED televisions. Complimentary wireless Internet access keeps you connected, and satellite programming is available for your entertainment. Private bathrooms with showers feature complimentary toiletries and bidets. Conveniences include phones, as well as safes and desks. Enjoy a range of recreational amenities, including an outdoor pool, an indoor pool, and a fitness center. Additional features at this hotel include complimentary wireless Internet access, a television in a common area, and a banquet hall.